With a commitment to nurturing the potential of kids, promoting healthy living, and fostering a sense of social responsibility, we ensure that every individual has access to the essentials needed to learn, grow, and thrive. Anchored in this community since 1914, we have a long-standing relationship and physical presence, not just to promise, but to deliver, lasting personal and social change. We desire to keep our community members safe. We offer programs that will help you become trained in areas that will keep our community safe. Our Registered Nurse directs you in basic life support and AED on infants, children and adults. Classes are held quarterly. If you or your group needs training or a re-certification, please call and schedule a special class with our nurse. Please call our wellness nurse, Lorrie, if you need a different time. Being able to swim 300 yards using a front crawl or breaststroke, being able to tread water for 2 minutes using only legs (arms are straight up or tucked under the armpits), and being able to complete a timed brick recovery test within the allotted time. 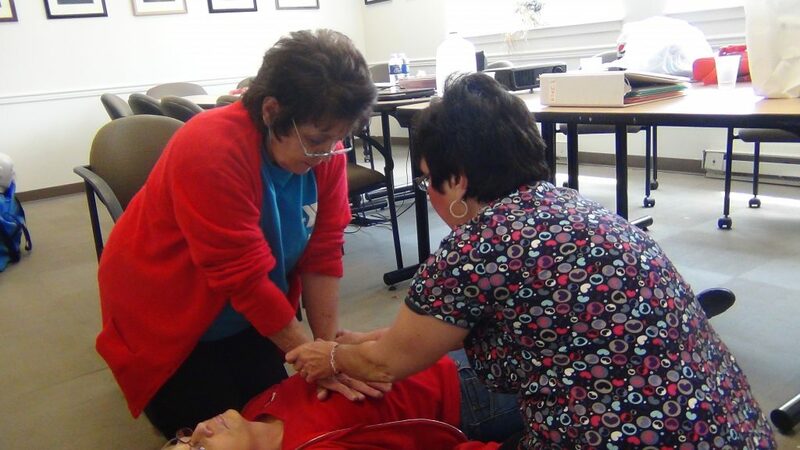 During the course of the certification, you also receive other basic skills such as CPR, First Aid, and AED. Participants MUST complete all phases of the lifeguard training in order to be certified. Darkness to Light “Stewards of Children®” uses real people and real stories to show you how to protect children. The framework of the training is built off the foundation of The 5 Steps to Protecting Children™. You’ll meet survivors who lived through child sexual abuse, experienced its immediate and long-term effects, and ultimately were able to find healing. You’ll meet experts who work with children and families, and confront abuse on a daily basis. Many of these survivors and experts are also parents themselves. The YMCA’s Authorized Facilitator can provide this training for you and/or your organization at the YMCA or on site at your location. For more information, contact Heather Murphy.